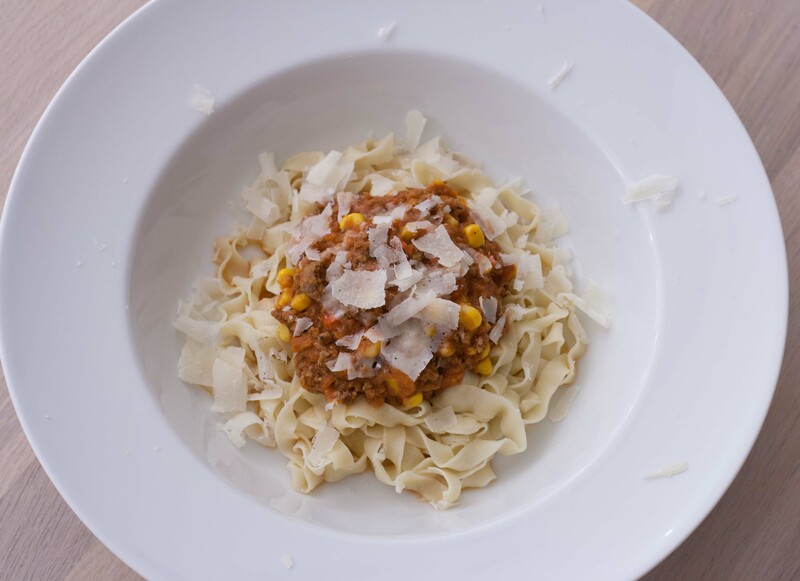 This recipe for a homemade meat sauce with chili is very delicious and doesn’t take that much time to make. The recipe contains many great ingredients and are rich on protein. 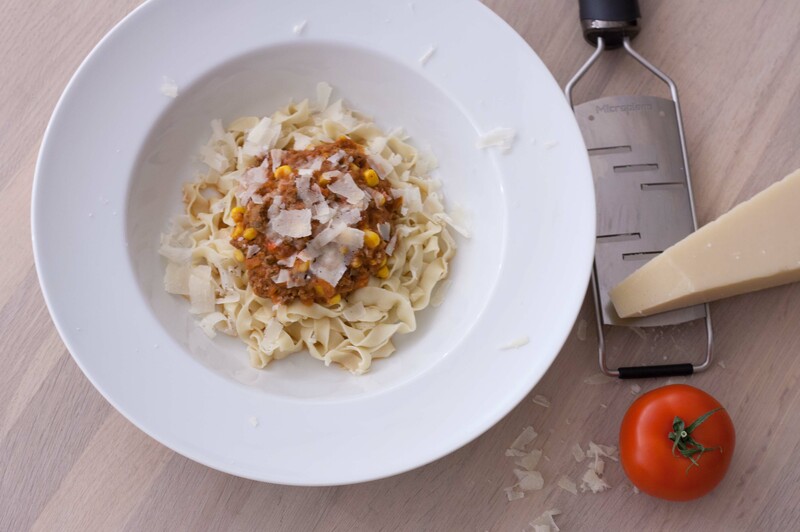 We always try to use meat with a low fat content and especially for a recipe for meat sauce we don’t believe it makes any sense to use meat with a lot of fat. If you are making patties, for your hamburgers, it makes sense to use meat with a higher fat content compared to a meat sauce – in a meat sauce there are so many different ingredients and tastes, so always use low fat meat, that way make the dish healthier. In general we always try to avoid getting too much fat from meat and dairy products, and then replace it with vegetable oil like olive or rapeseed oil. We fry in rapeseed oil and use olive oil on our salads. 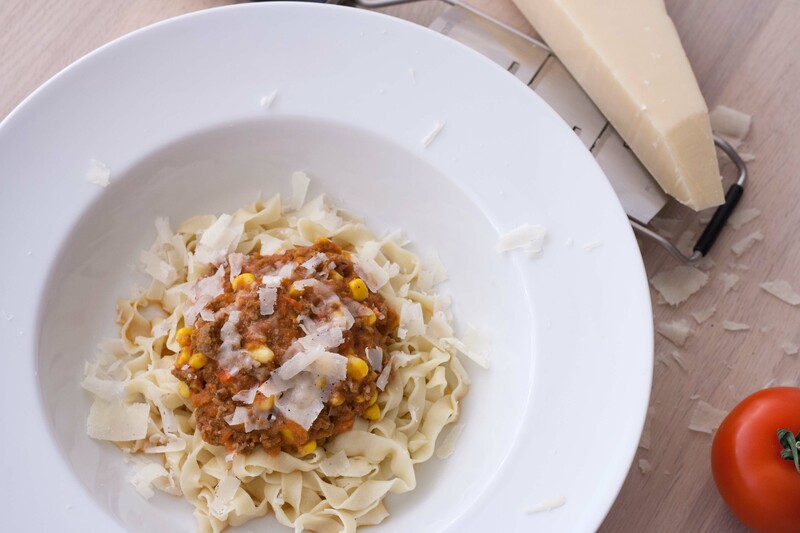 Because this recipe for meat sauce with chili is low on fat and high on protein and the fact that the ingredients are fairly cheap we use it on a regular basis. The recipe is perfect as it is – however when we are cooking a meat sauce we normally always just use this recipe as the base and then add all kinds of different ingredients. There are so many different ways and variations to cook this meat sauce. If we have some extra sour cream or maybe some zucchini we just add these ingredients and then we have a totally new variation – it’s basally only your imagination that are the limit. If we have the time we always use our recipe to make some homemade pasta – it is just way more delicious compared to the boring pasta you can buy at the supermarket. Step 1: Peel the carrots and dice them. Finely chop the chili. Step 2: Finely chop the onion and the garlic. Heat up some oil in a sauce pan and fry the onion and garlic. Step 3: Add the beef in the sauce pan and fry it. Step 4: Add the carrots, chili, corn, diced tomatoes and the tomato paste. Mix well. Step 5: Add the milk and some beef stock powder. Mix well. Season with oregano, salt and pepper. Step 6: Let the meat sauce simmer at low to medium heat for minimum 20-30 minutes. However, if you have the time let it simmer for several hours at low heat – the longer the better. 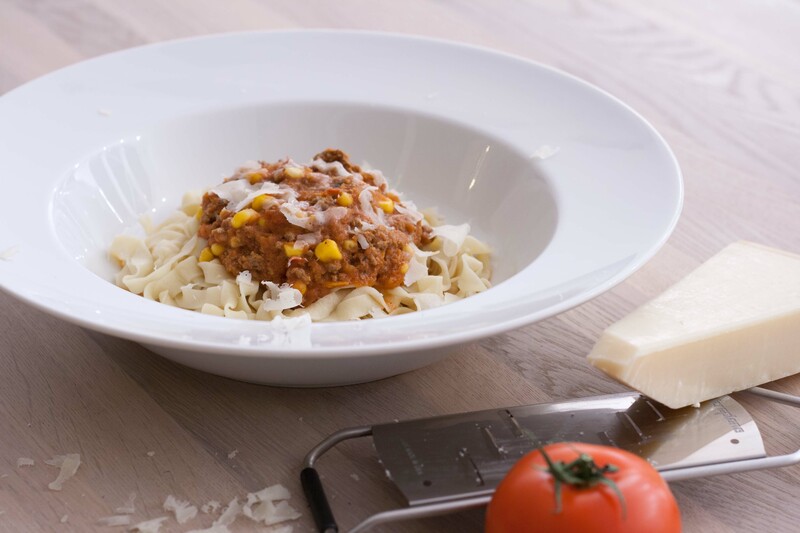 Tip: Serve the meat sauce with boiled pasta or spaghetti. If you have the time we will recommend this recipe for homemade pasta – it is just super delicious. Add some freshly grated Parmesan to the pasta and the meat sauce.